Can service fees affect the sale and rent potential of a property? Do service charges impact the marketability and rentability of a property? Most people seem to believe that if the services provided for the charges being levied appear justified, those communities and properties will continue to thrive and remain popular. However, unscrupulous practices have at times led to extremely high service charge levels, not justified by the operating costs for maintenance, thereby impacting the return on investment negatively. Unregulated service fee level with low quality of service can be detrimental to the property valuation and to its leasing or sale potential. Colin Dowall, head of property and asset management, JLL Mena, feels strongly about the impact. “Yes, it drastically impacts the saleability and rentability of a property. For residential units, market practice in Dubai is that service charge is paid by the owner/landlord, regardless if he chooses to rent out or live in the unit,” he says. “If the landlord rents out the unit, then service charge costs must be deducted from the total rental amount to calculate the annual net property yield. According to Paul Kelly, operations director at Allsopp & Allsopp, says it’s important to take a broader view of things before reaching a conclusion. “If I can use the example of Green Community Motor City, the apartments there are, in my opinion, the best in Dubai without getting into penthouses or premier developments,” says Kelly. “However, the service charges are high and this does put people off purchasing there. Interestingly, the impact is different on end users and investors, with service charges playing a greater part in the decision-making process for the latter as higher charges would mean lower yield. However, real estate brokers believe the rentability is not necessarily impacted by higher charges in popular areas of Dubai. The exception to this rule, however, could be areas with high charges, but low service levels. As end users and landlords continue to feel the burden of increasing service charges against diminished service quality impacting their overall asset pricing, experts suggest several measures to pave the way for a more constructive property landscape. According to Kelly, the biggest concern at the moment is the rate of the service charge. “But I personally feel that buyers should look more into the quality of the service that is being given and look at both the advantages and disadvantages of the service charge in any given area or building when making their decision,” says Kelly. To ease the situation for landlords, tenants and developers, several factors could help, including increased awareness about rights and responsibilities, especially the dos and don’ts, involving all parties in the decision-making process, getting feedback regularly to improve the services and addressing issues effectively, always providing quality service, transparency on service and charges, and good governing rules. “We believe that this would help everyone to respect each other, while living in an active community,” says Srinivasan. 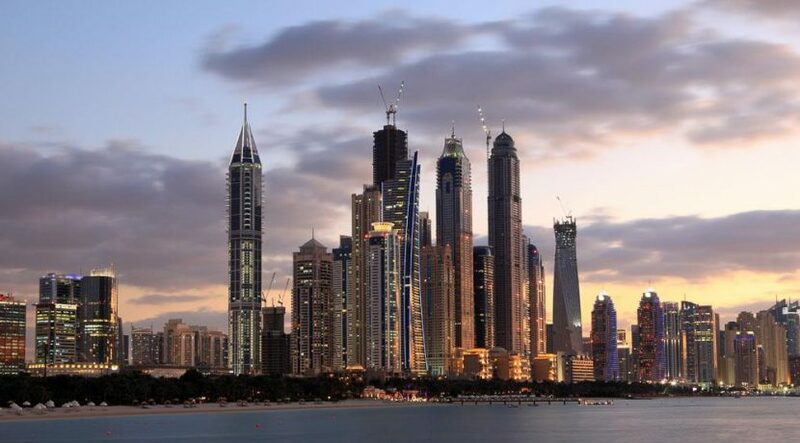 The Rera index currently provides details of 300 projects in 22 master developments such as Business Bay, Dubai Marina, Jumeirah Beach Residence, Jumeirah Lakes Towers, International City, Dubai Motor City and Dubai Silicon Oasis. Rera has also issued a circular for developers to form interim owners’ associations before claiming any fees for services after the first year of operation. The circular also lays out the requirement of financial reports and audits to get approvals for the fee structures.